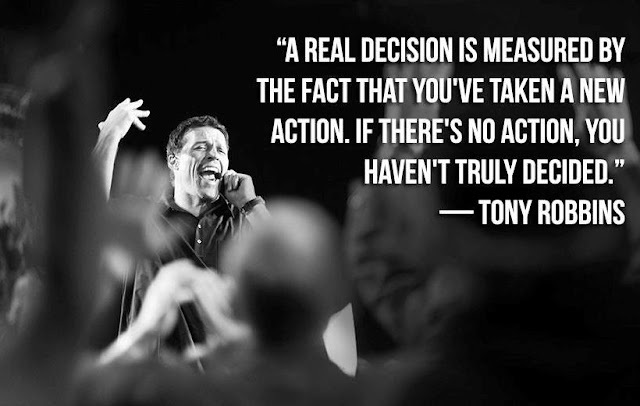 Tony Robbins is one of the world's biggest motivational speakers, personal finance advisers, self-help gurus, and inspirational best-selling authors. Tony Robbins even has his own rags to riches story that gives him more legitimacy. Tony Robbins' words of wisdom have helped to motivate countless millions to improve their financial, business, and personal success. Tony Robbins encourages people facing doubt to take their destiny into their own hands and create financial and personal growth. 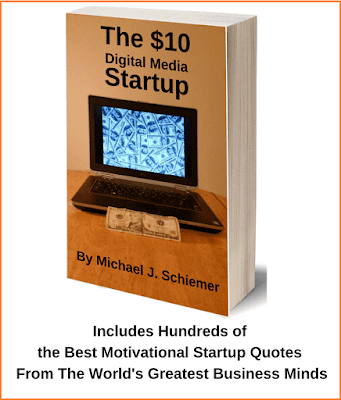 1) "Setting goals is the first step in turning the invisible into the visible." 2) "In life you need either inspiration or desperation." 3) "Focus on where you want to go, not on what you fear." 4) "It is in your moments of decision that your destiny is shaped." 5) "If you do what you've always done, you'll always get what you've always gotten." 6) "A real decision is measured by the fact that you've taken a new action. If there's no action, you haven't truly decided." 7) "All personal breakthroughs begin with a change in beliefs." 8) "The only impossible journey is the one you never begin." Thank you Tony Robbins for the inspirational biz quotes! I hope you enjoyed these great Tony Robbins inspiring business quotes to motivate your entrepreneurial spirit! Need More Business Success Motivation In Quote Form?